Malebane-Metsing led the F4SD in the Rustenburg city council after the August 3 municipal election. Former leader of the People’s Progressive Party and Bophuthatswana coup leader Rocky Malebane-Metsing has died. A friend and colleague in the Forum 4 Service Delivery (F4SD), Pogiso Bothomane, said the veteran politician died on Wednesday. He left the African National Congress (ANC) in June following the imposition of unwanted leaders against the choices of communities for the municipal elections. He joined the Forum for Service Delivery and was the mayoral candidate for Rustenburg. The F4SD said it was saddened and shocked by his death. “He was a committed servant of the people who was passionate about serving his community and the country at large. He is one of those that worked hard for the success of F4SD at the Rustenburg area, which saw the forum managing four PR seats at that hugely contested municipality,” said spokesperson Elias Mogoru. He said Malebane-Metsing was committed to changing the lives of the poor. In 1988, Malebane-Metsing led a coup to oust Lucas Mangope, the president of Bophuthatswana, one of the apartheid-era homelands or Bantustans to which black South Africans were confined. However, hours later, the South African government sent troops in to quell the uprising and reinstated Mangope. 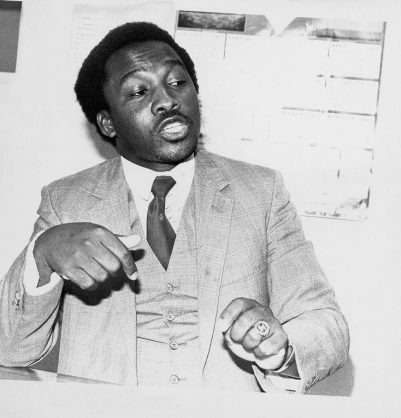 Malebane-Metsing was elected into the ANC national executive committee (NEC) in December 1991. He was appointed MEC for Agriculture in the North West but resigned from the ANC in May 1995, citing political differences. He returned to mainstream politics in 2006 and was elected into the Rustenburg local municipality, where he held several strategic positions.